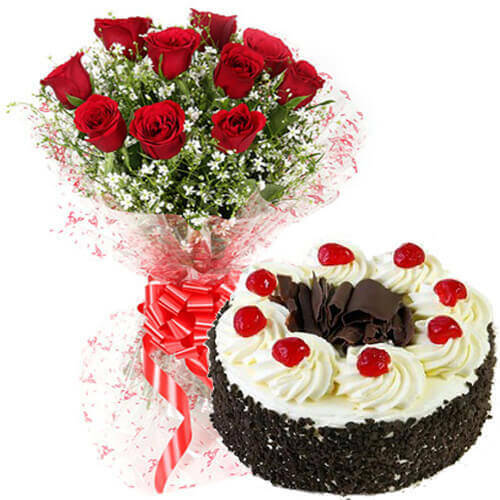 10 pic Red Roses Bunch and 500gms Black Forest Cake .Send This GIfts to Your Love once. Buy Now! !.